How to perform the super glide manoeuvre in Apex Legends. This Apex Legends explains how to glide and perform the so-called super glide manoeuvre in the game. Apex Legends has enjoyed a spectacularly succesfully launch week, and its dominance of the Twitch viewer charts doesn't show signs of slowing down any time soon. Among the many tips and techniques that have emerged over the last seven days, one involves getting more out of the game's gliding system using something known as the Super Glide method. By taking advantage of this skill, you're able to glide around the landscape for a much longer period of time, and potential bag yourself some spectacular kills. In this article, we're going to outline exactly what you need to do to make use of this technique. If you're still having problems pulling this off in-game, let us know in the comments and we'll try to help you out. 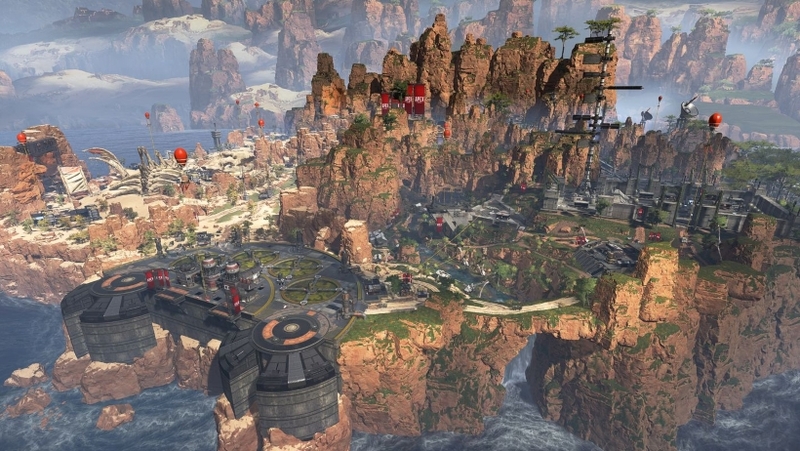 To perform the glide in Apex Legends, you're first of all going to have to locate one of the balloons that are featured on specific locations in the map. You can see these from quite a long way away, and when you reach one you just need to start climbing up its tether. As this image shows, the balloons are really very easy to spot on the map. As soon as you reach the top of the ballon, hold down the free-look button and also push forwards. Use the joypad on consoles or the W button on PC. There are different terrain heights throughout the world, and as you come close to a piece of terrain your Legend will start performing the falling animation. The moment the animation begins, you're going to need to move left or right (again, using the controller or A / D on PC), to reinitiate the glide and get moving again. While you're doing this, you need to keep holding down free-look and your forward motion input. If you can keep doing this, looking for new terrain to exploit at all times, you can keep your glide going for an incredibly long time. With this aerial advantage it's very possible to achieve some incredibly sneaky kills, and give you and your teammates a massive advantage. Although the developers haven't yet officially commented on this maneouvre, it feels a little bit of an edge-case in terms of fair gameplay. The mechanic may be patched out in a future update, and there is the potential for Rebellion to take action against the account if they feel it's really not playing the game as intended. Still, now you know how to glide in Apex Legends! Let us know how you get on with it in the comments below.